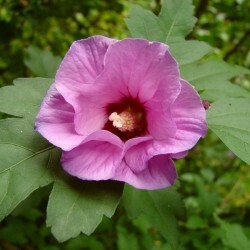 Vigorous and summer-blooming, Rose-of-Sharon is a large, deciduous shrub that originates from Asia. 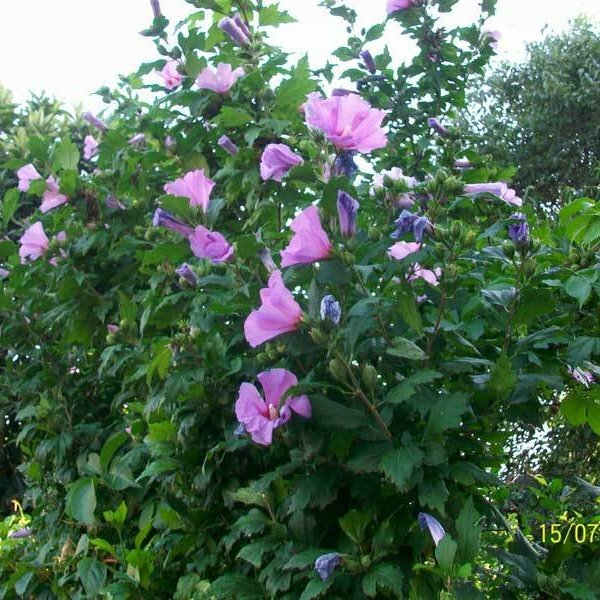 It has an upright, bushy habit and a tendency to spread and seed itself in, if given the opportunity. Throughout the growing season it has lustrous, lobed, palm-shaped leaves of medium green. 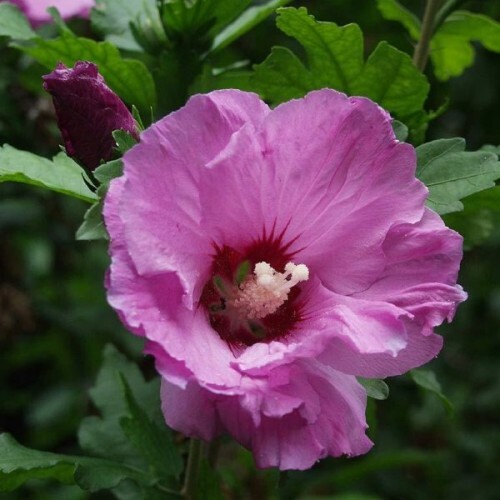 From mid to late summer it produces medium to large, open, funnel-shaped blooms that have a papery appearance. 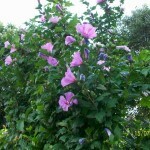 These may be white, lavender, red, pink or purple, depending on the cultivar. 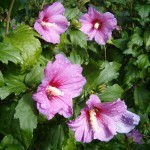 Double and semi-double selections are available.